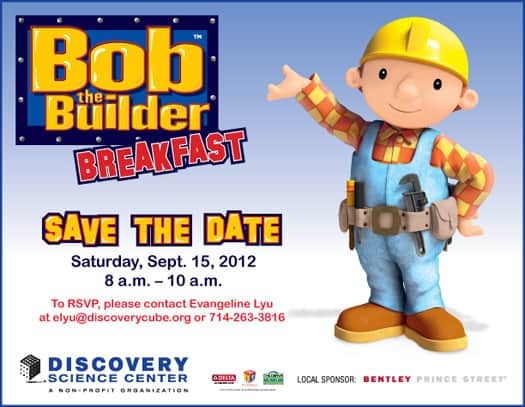 join Bob the Builder for this exclusive early morning event, the Bob the Builder Breakfast! guests will be able to enjoy breakfast and be one of the first to experience the new Bob the Builder exhibit – Project: Build It. 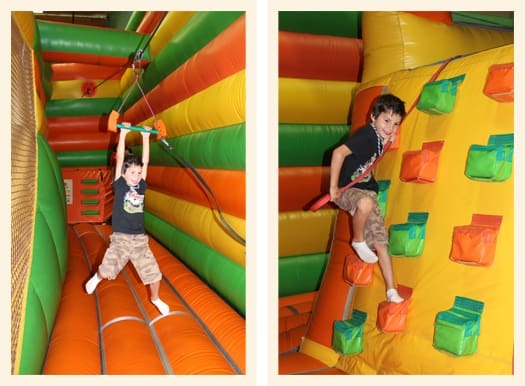 plus, you will have an opportunity to meet the star of this exhibit, Bob the Builder! 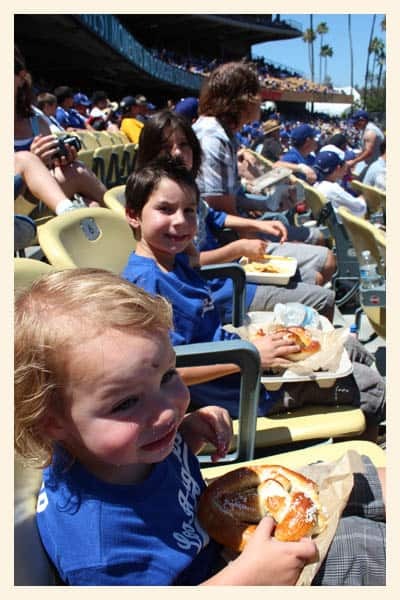 breakfast will be served from 8:00 a.m. – 9:00 a.m.
a few weekends ago, we took the boys to their first Dodgers baseball game at Dodger Stadium. we had a blast! 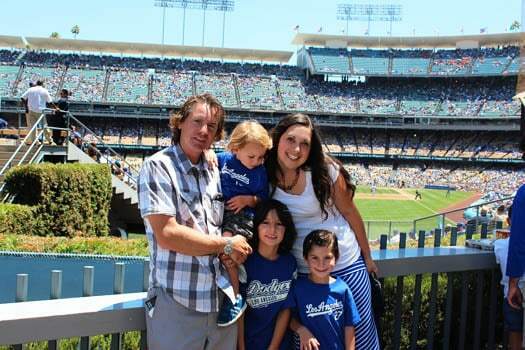 you know those family outings where everyone is happy, the weather is perfect and everything goes just how you imagined…only better….that was the kind of day it ended up being. 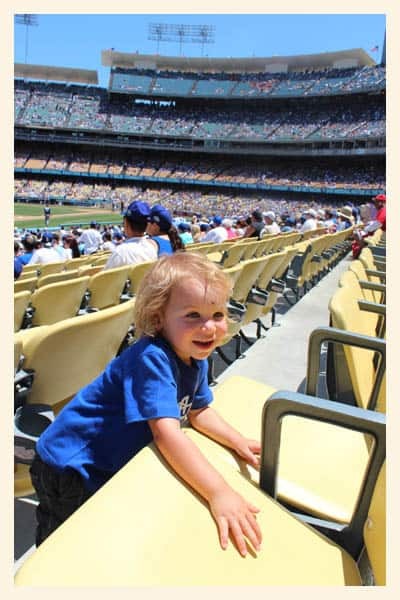 i too had never been to Dodger Stadium, and i was impressed by how cool it was. 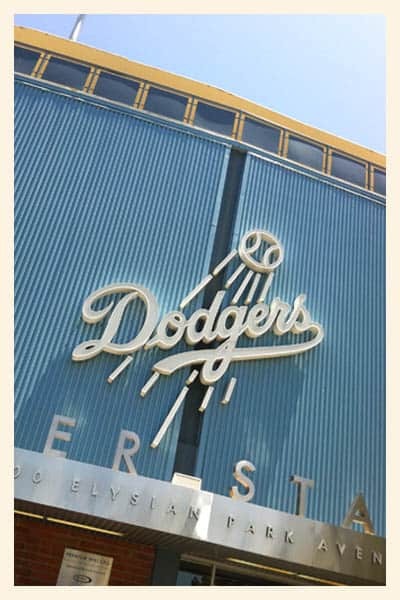 it was modern with a retro flair, super clean and everyone was so excited to see the Dodgers play. 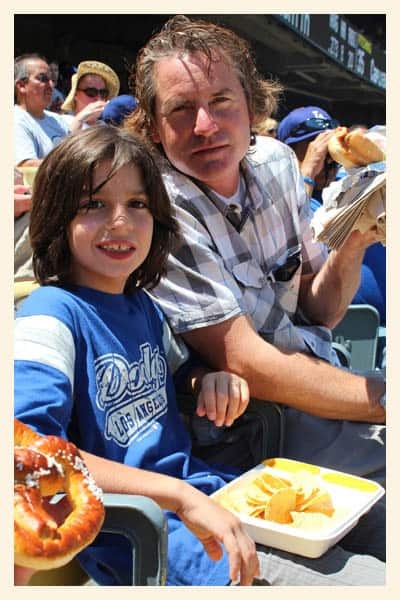 of coarse you have to get dressed up in Dodgers blue when you go to a Dodger Game. 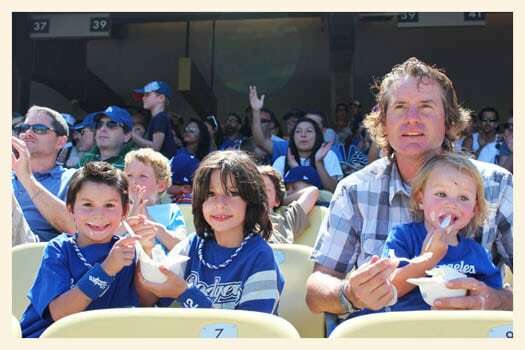 to say the kiddies were excited would be an understatement. 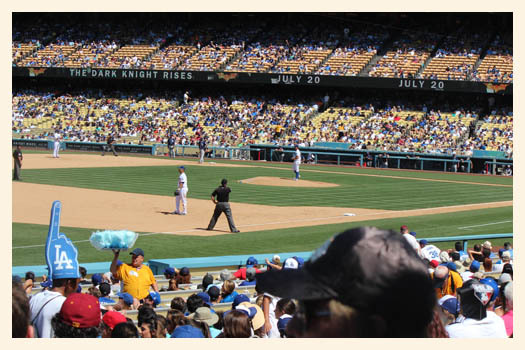 our seats were on field level behind third base. so cool! but i bet we would have fun no matter where we sat. 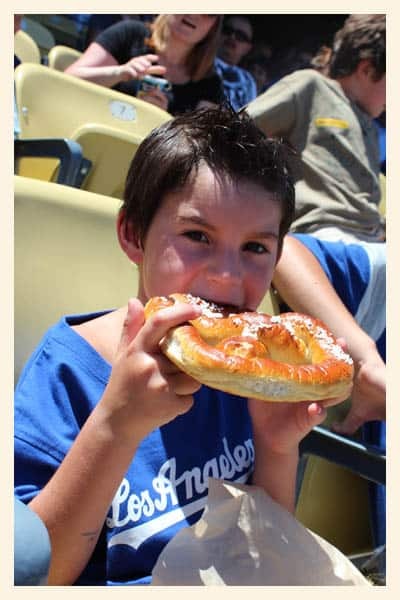 a baseball game isn’t a baseball game without enjoying a traditional baseball treat. ice cream is always great on a hot sunny day…. 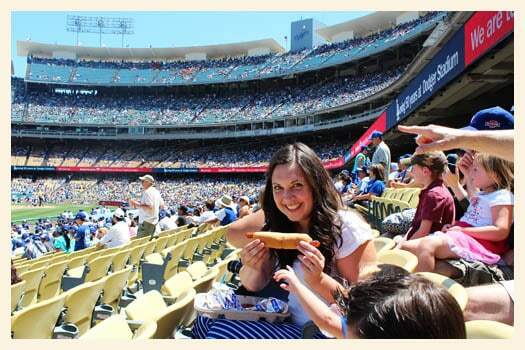 and you can’t go to the Dodgers Game without eating a Dodger Dog! 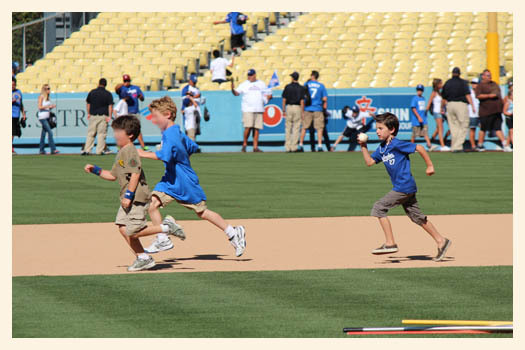 i would have to say the highlight of the day is when my boys got to run the actual bases on the Dodger Field! 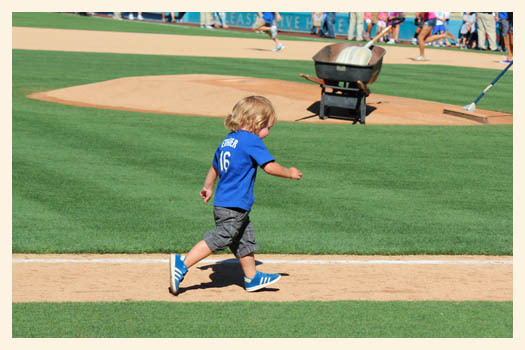 did you know that after the afternoon home games, kids 14 and under can run the bases on the field! 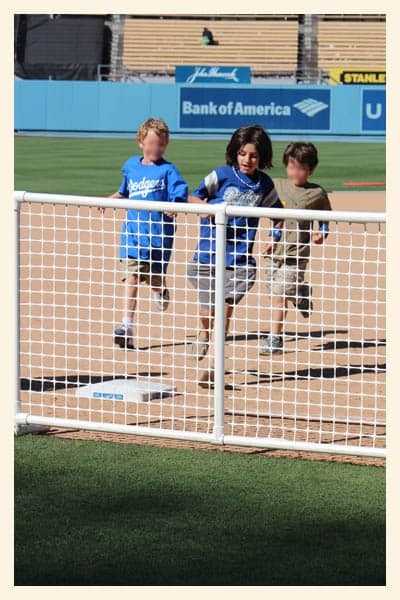 parents and their kiddies can line up at the gates between the Right Field Pavilion and Field Level and take their turn to run all of the bases. 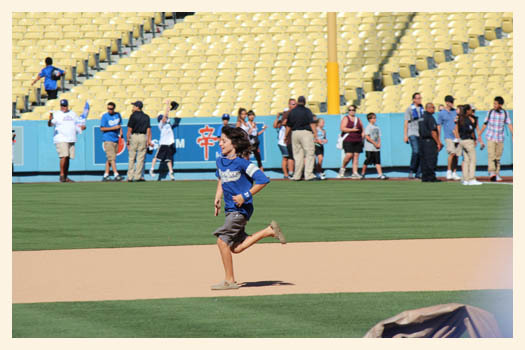 this is my little boy’s dream. 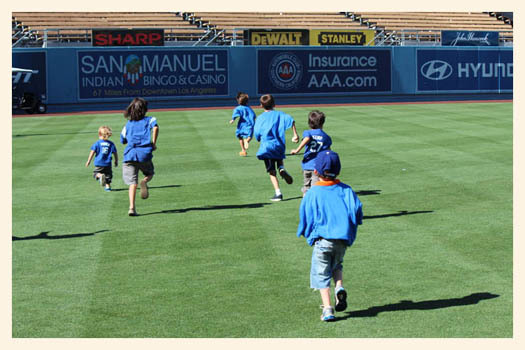 it was special treat that my boys got the opportunity to run out onto the field. 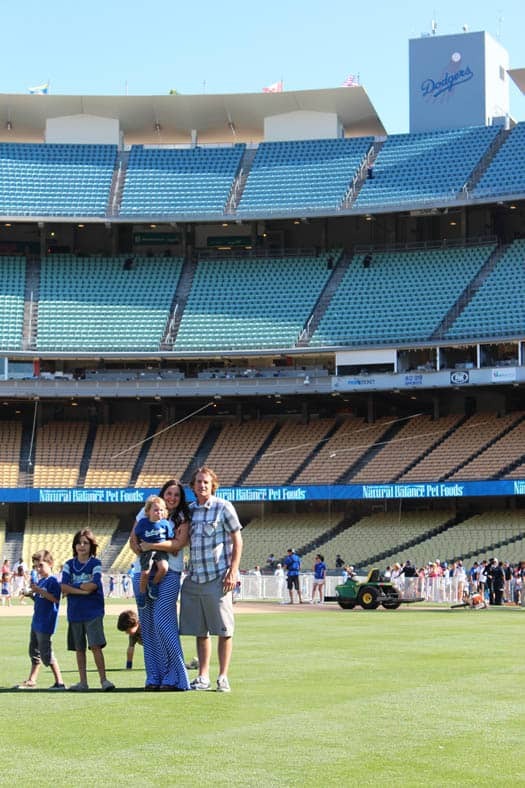 talk about perfectly manicured grass. 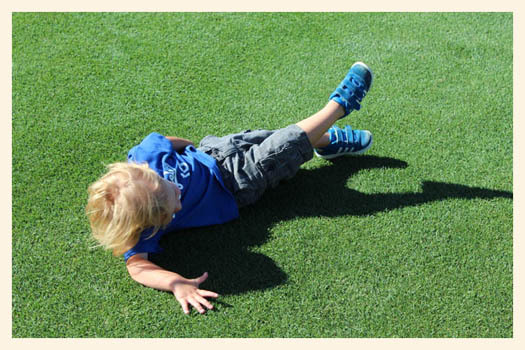 it was cut perfectly smooth, green as ever…..
and soft enough to take a nap on. 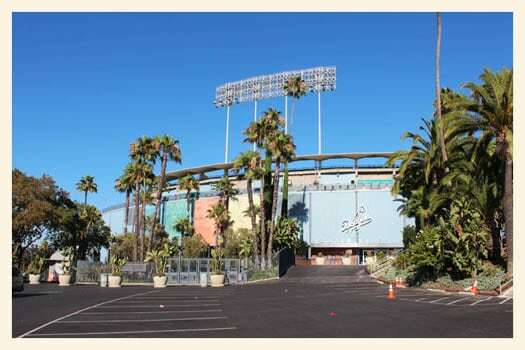 did you know that Dodger Stadium works on the lawn and dirt everyday to keep it so beautiful. 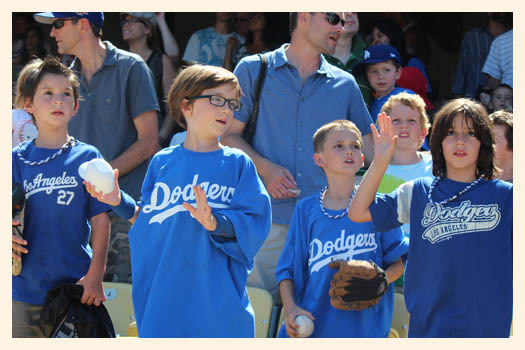 the kiddies were so honored to get to stand where professional baseball players and their heros play baseball. it was the perfect ending to a day of family fun. there is not much more a momma can ask for! 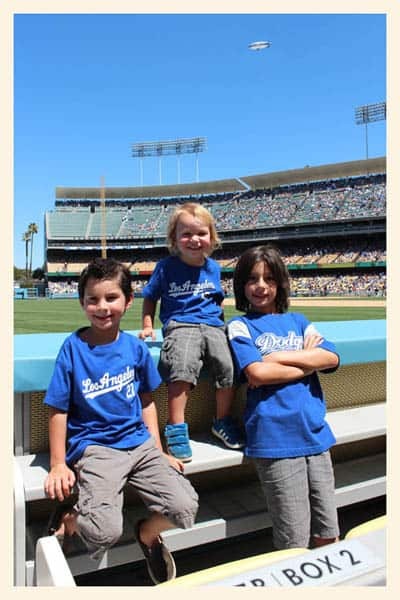 Thanks Dodger Stadium for the perfect day. disclaimer: i apologize in advance if any of this information is wrong…..i will update as information becomes available. if my prediction is correct, the Ringling Bros. and Barnum and Bailey Circus elephants are arriving on the circus train tomorrow, wednesday, july 25, 2012! this is called the “Elephant Walk.” and since the circus begins in the OC on friday, they gotta bring all the circus animals and equipment by train to the Honda Center. well….the elephants have to get from the train to the Honda Center somehow, so they walk them down the street from the train drop-off to the Honda Center. people can sit along the curbs and watch! however, if the schedule is as years past, then the “Elephant Walk” is tomorrow! 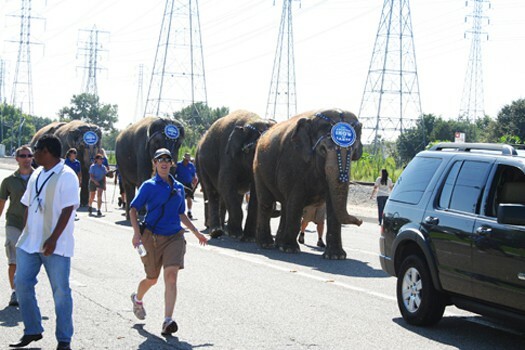 and the elephants walk down Cerritos Street and Douglas Street to the Honda Center. i know that the train can arrive as early as 11:30…but you know what happened a few years ago year. there are parking lots near by, so if you want to try and go, bring some treats and a book to past the time. i will post any updates i learn on facebook, so check there tomorrow. here are directions. 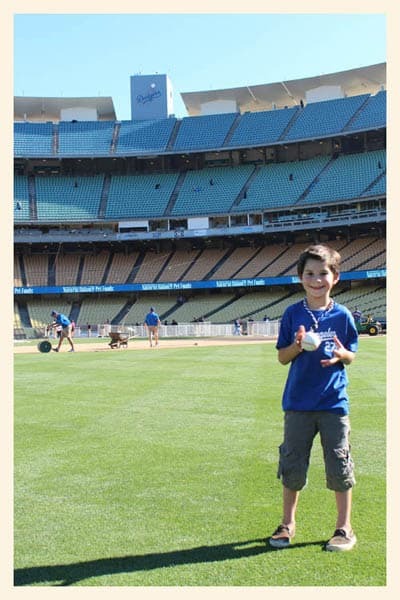 and here is a link to last years elephant walk. 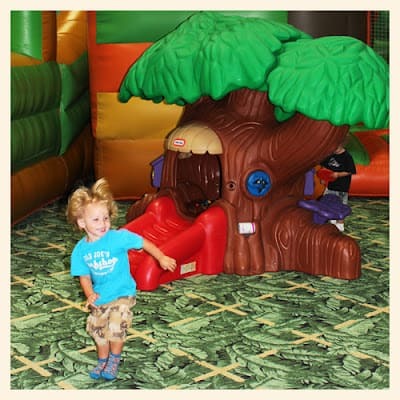 take the kiddies to Scooter’s Jungle, one of the OC’s fun bouncy house places. 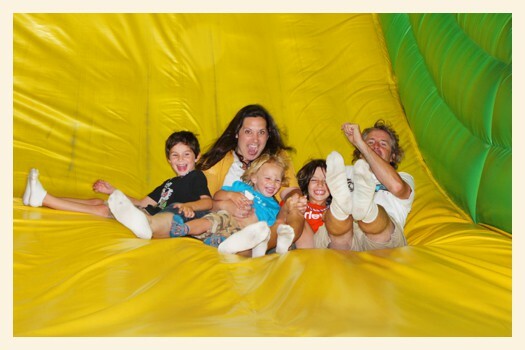 they have two locations in Orange County: Aliso Viejo and Placentia. 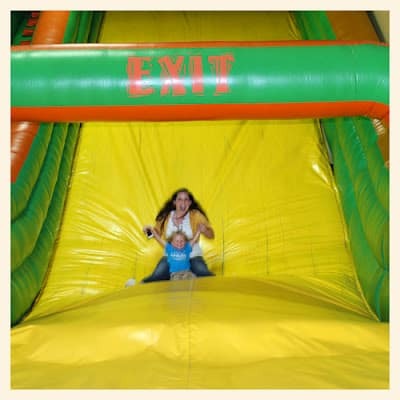 they offer open play times for all ages, including toddler time, family fun night, special events for families with special needs and different packages for birthday partys! what i really love about Scoooter’s Jungle is that i donn’t have to worry about running around after the kids. 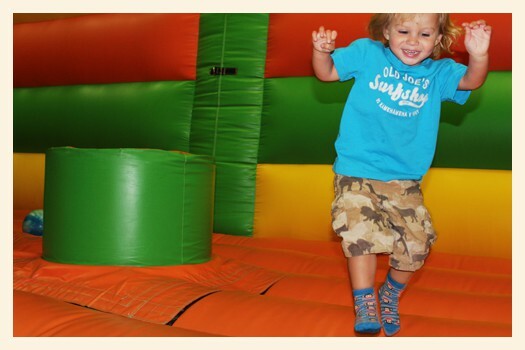 the are totally entertained and contained in the two bouncy house rooms, and are easy to keep track of. 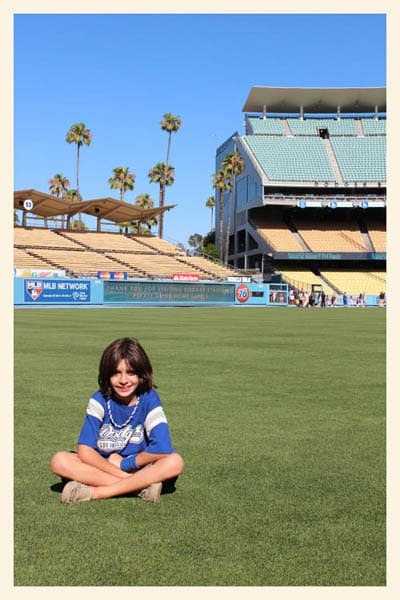 the whole place is air conditioned and there are benches to sit on if you would rather watch than play. 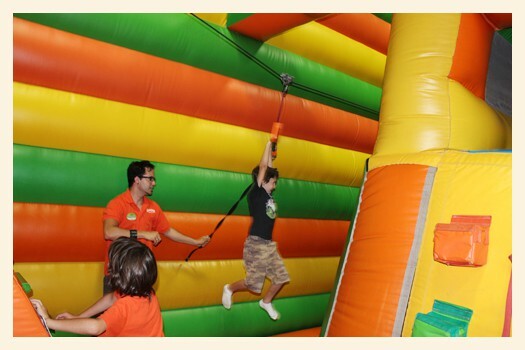 Scooter’s Jungle has 2 giant rooms where you can bounce…. 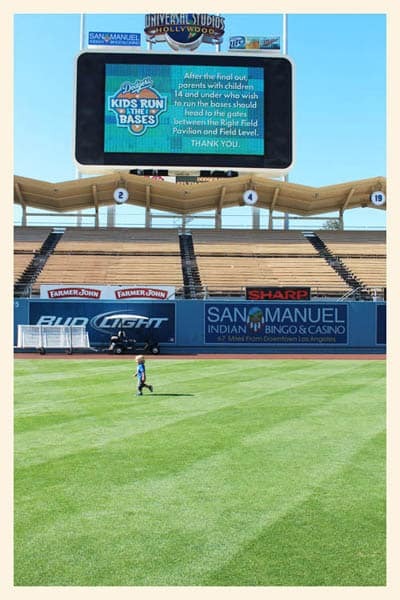 Scooter’s Jungle has 2 gigantic slides…. 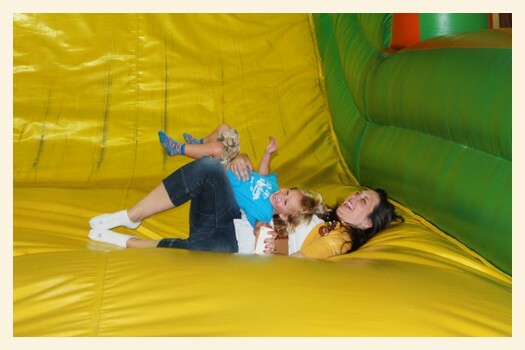 and the staff is super nice….they help the kiddies to have extra fun. 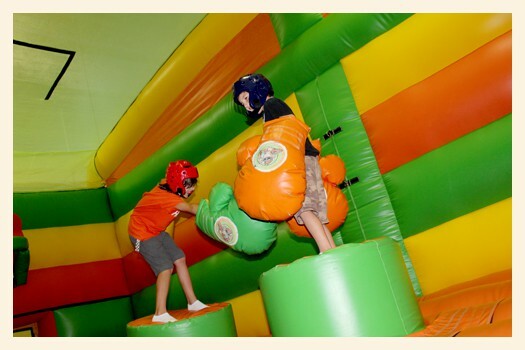 and you can wrestle with your brother and not get in trouble! 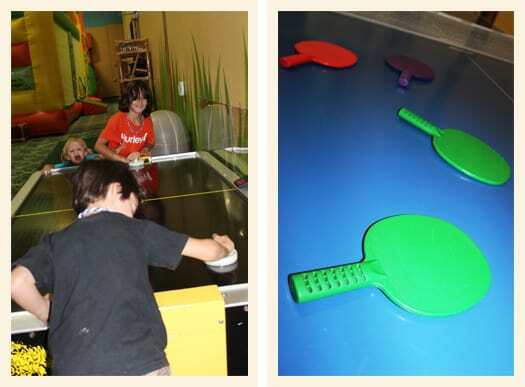 there is something fun for everyone at Scooter’s Jungle….even air hockey and ping pong. 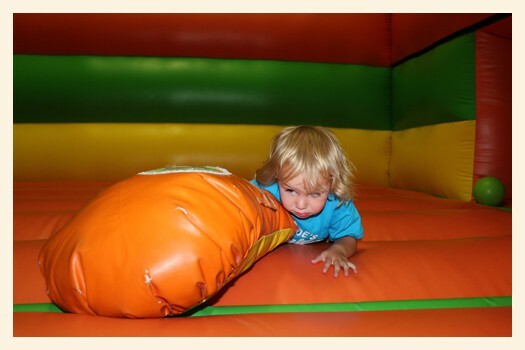 and there are plenty of fun things for the little ones to do…. 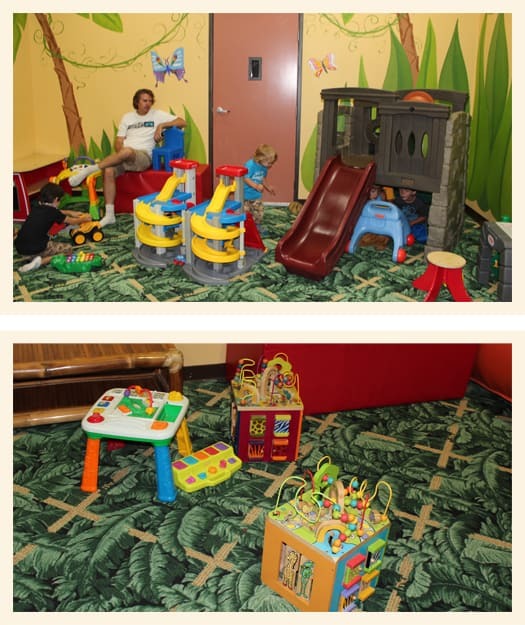 like a room devoted just for the really little ones. 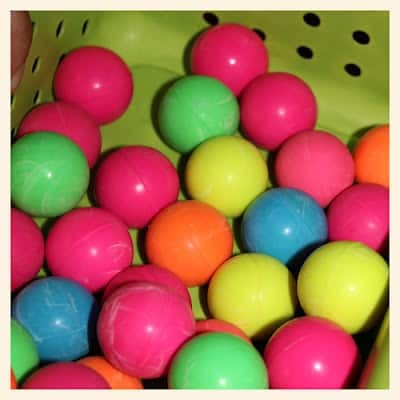 and what are these neon bouncy balls for? only a super awesome black light glow room, where you can bounce glow balls in the dark. 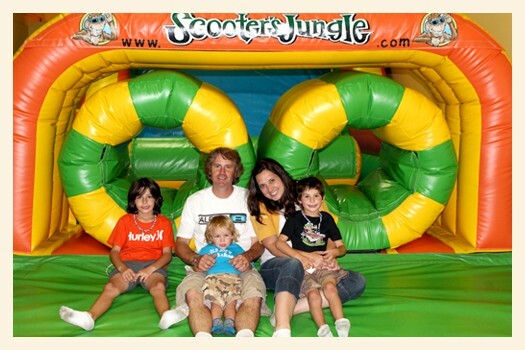 Scooter’s Jungle has family fun nights where the entire family can enjoy a night of fun together. 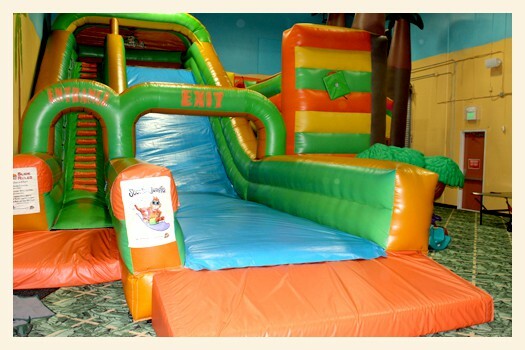 it costs $10 per kid/adult included. 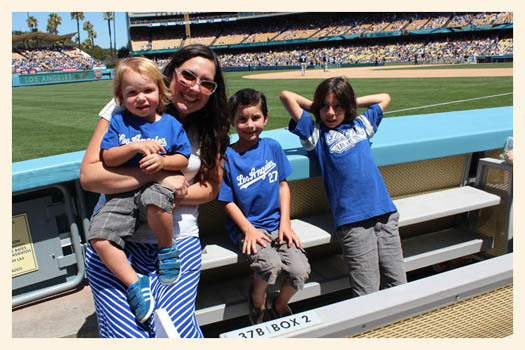 it was one of the best things we have done as a family this summer! and you can buy slices of pizza for dinner at family fun nights. 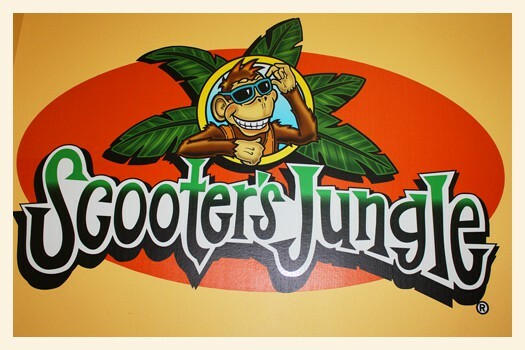 Scooter’s Jungle has pizza made-to-order, so it fresh and hot! you can get a slice for $2 or a whole pizza for $16. lemonade, water and snacks are complimentary…yay! you can keep up with the latest events by following Scooter’s Jungle on facebook! 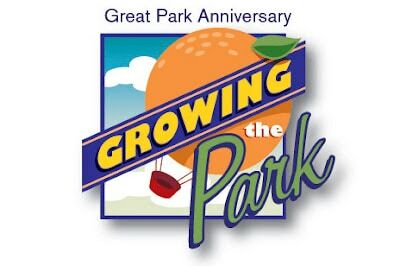 the Growing the Great Park: Great Park Anniversary Celebration is happening this weekend! this annual Great Park event brings the community together to celebrate the growth of the first metropolitan park of the 21st century. 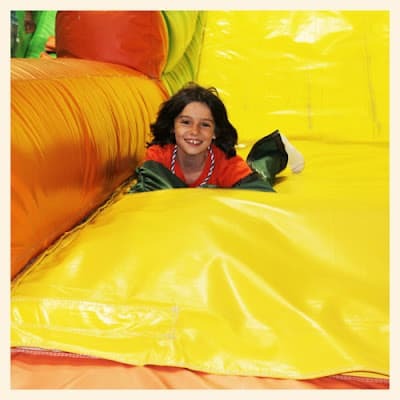 live music, aerial performances, military equipment displays, sports activities, gardening and cooking demonstrations, arts programs, great food and children’s activities offer a special day of fun for the entire family. in the evening, the Anniversary Celebration wraps up with a spectacular fireworks display. the primary entrance to this event will be at Marine Way off of Sand Canyon. the alternate entrance to the event will be Trabuco Road off of Sand Canyon.